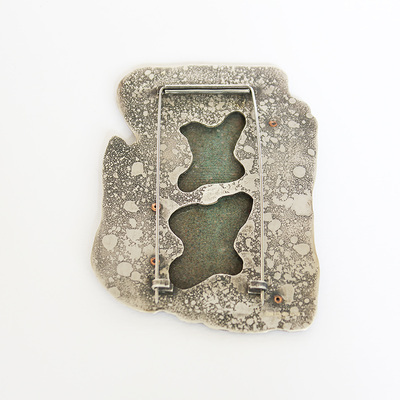 Bleached traces brooch (front): Enamelled copper, Sterling Silver. 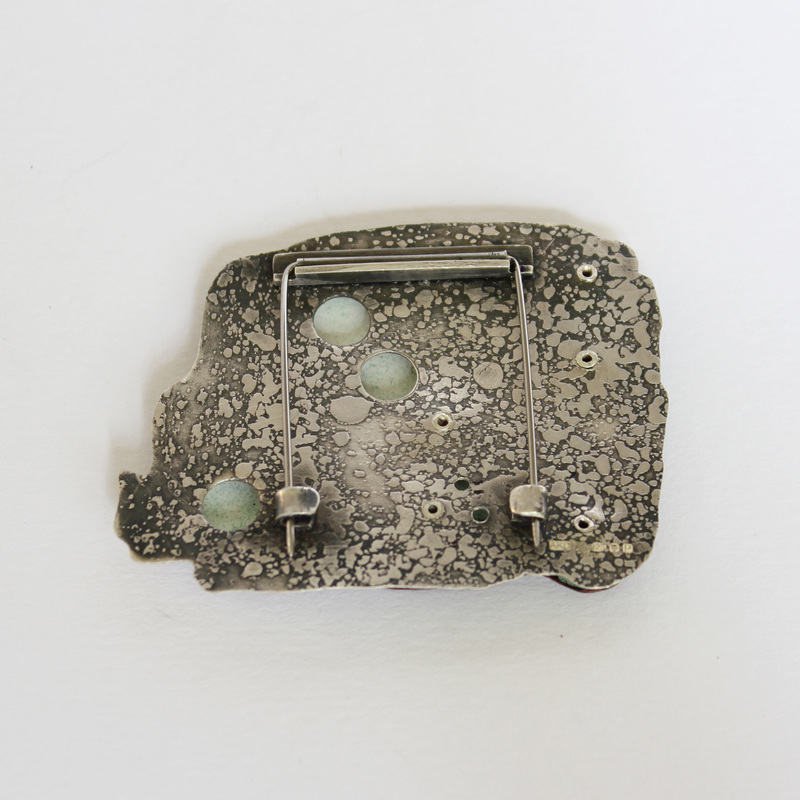 Bleached traces brooch (back): Sterling Silver, enamelled copper. 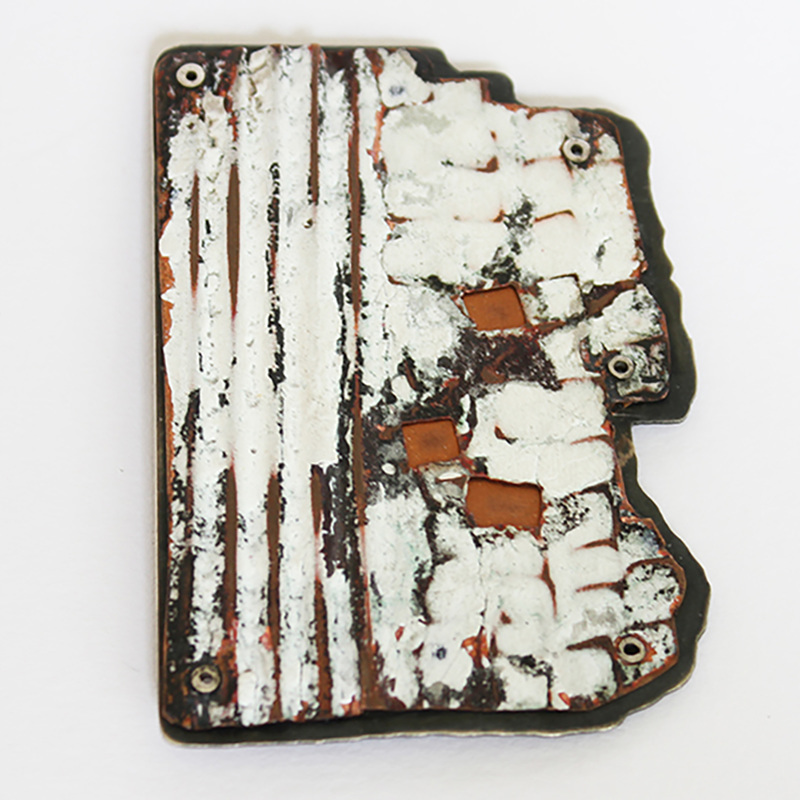 Dark Traces brooch (front) enamelled copper, Sterling silver. 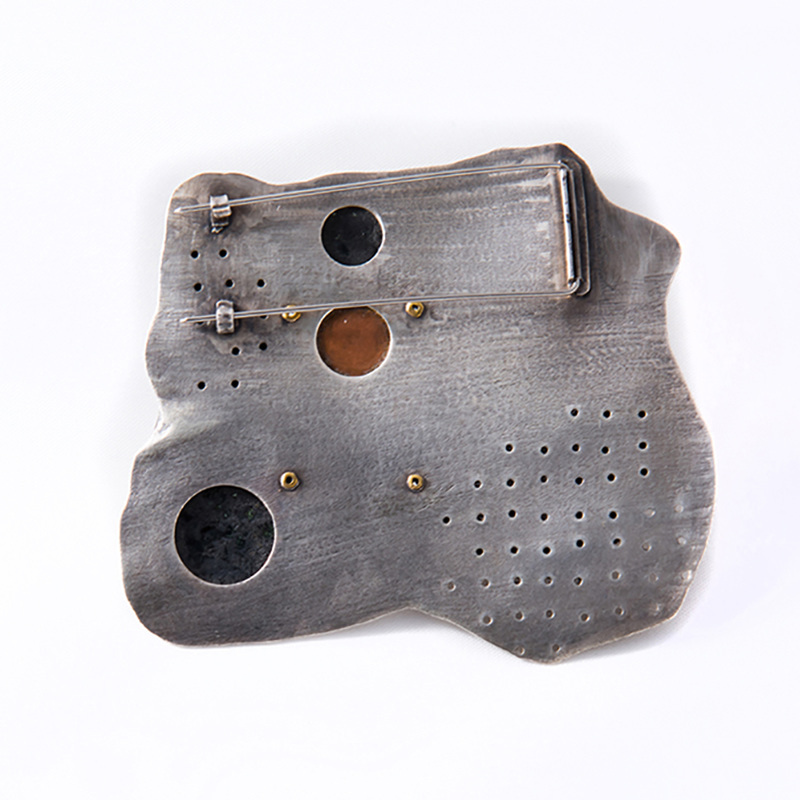 Dark Traces brooch (back): etched Sterling silver with enamelled copper. 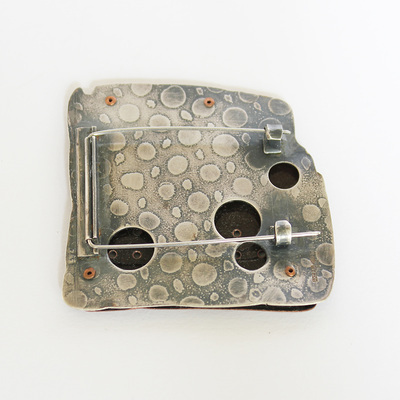 Traces brooch (front) : enamelled copper with oxidised Sterling Silver. Traces brooch (back): oxidised Sterling silver and copper. 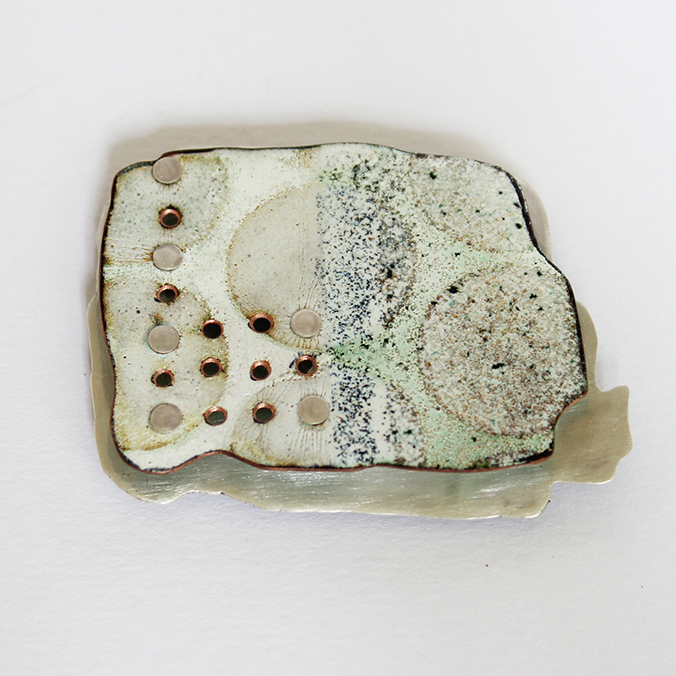 Traces brooch (front) enamelled copper & sand with etched Sterling Silver. 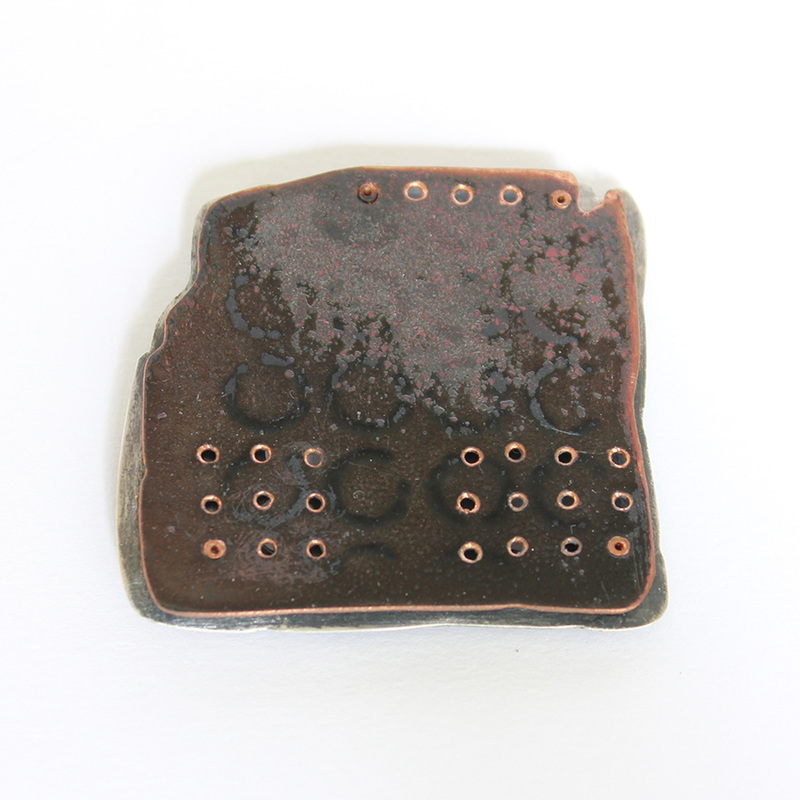 Traces brooch (back) enamelled copper with etched Sterling Silver. 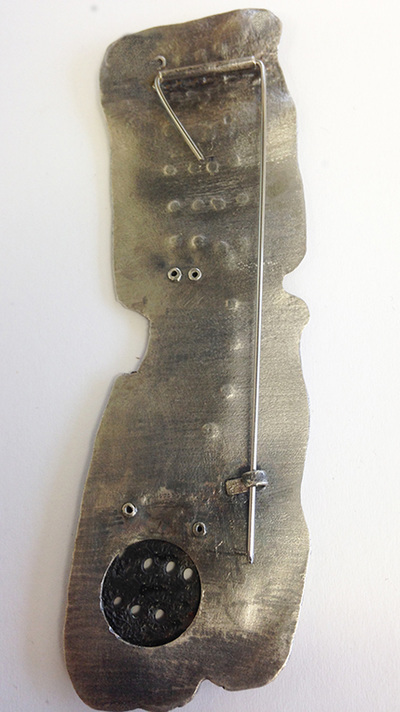 Traces brooch (front). 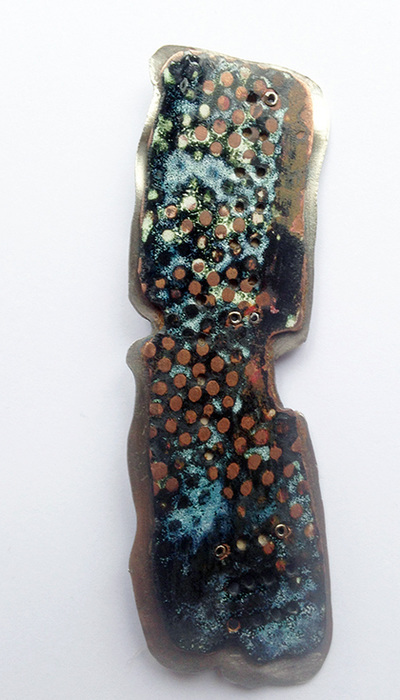 Enamelled copper with graphite and black sand, Sterling Silver. 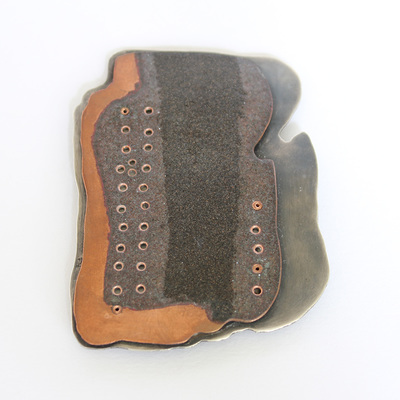 Traces brooch (back) Etched Sterling silver with enamelled copper. 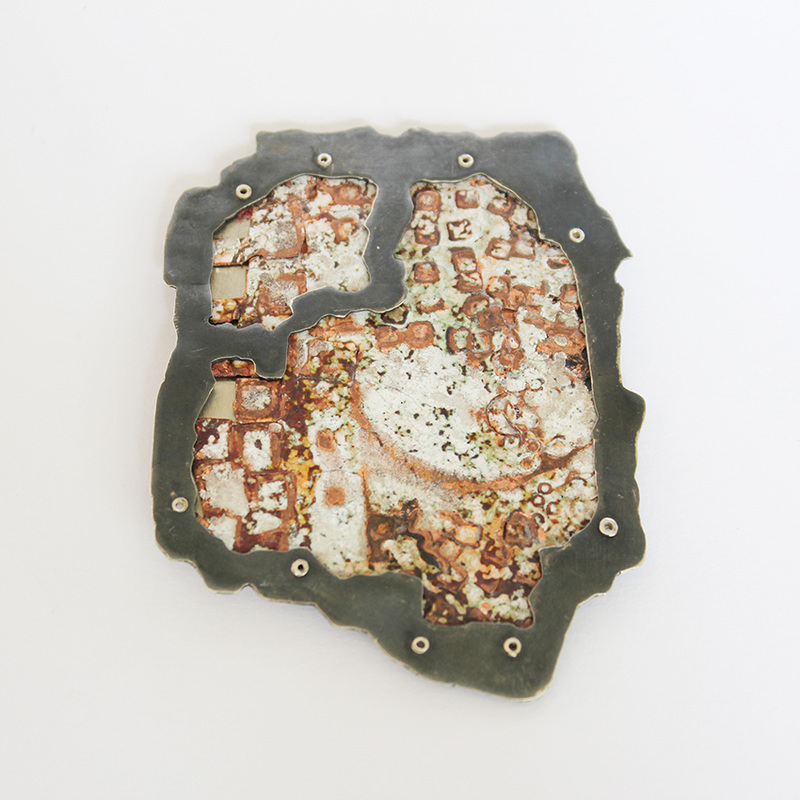 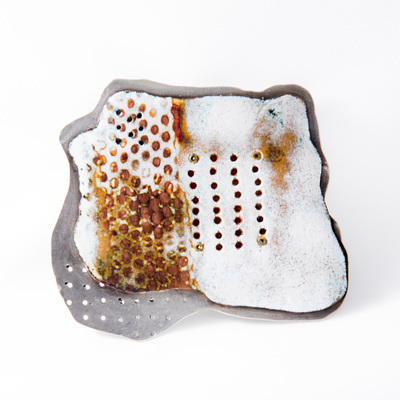 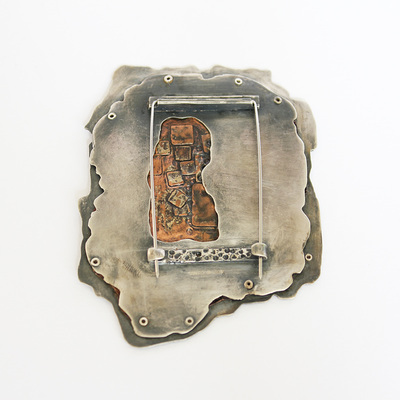 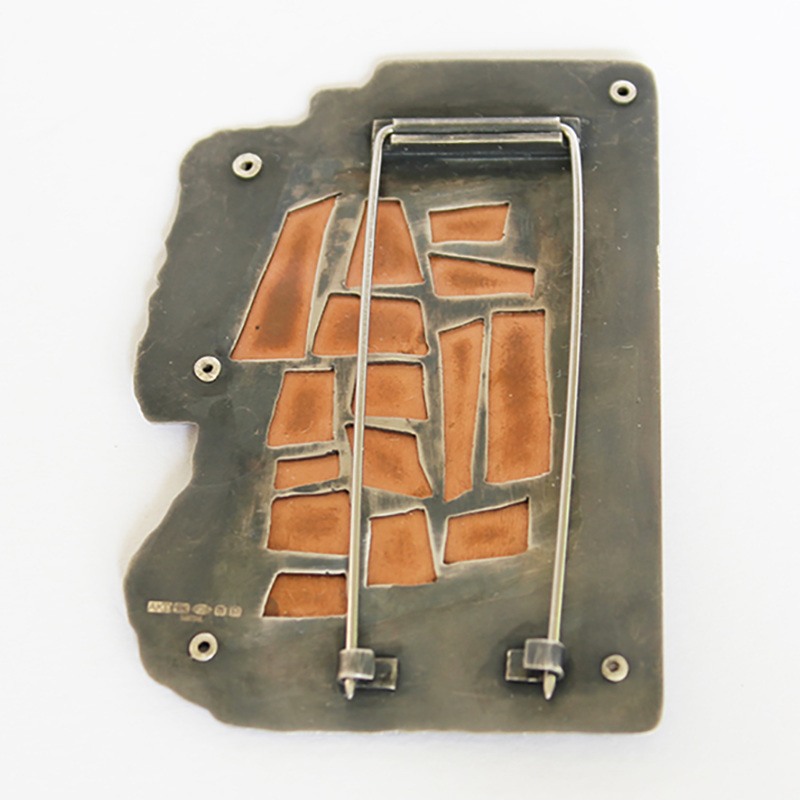 Traces brooch: torch-fired enamel on copper, oxidised Sterling Silver. Traces brooch (back): Oxidised Sterling Silver, copper. 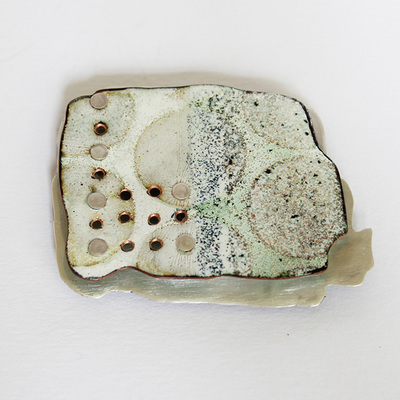 Traces brooch: enamelled copper, Sterling silver. Brooch back: enamelled copper, Sterling silver.